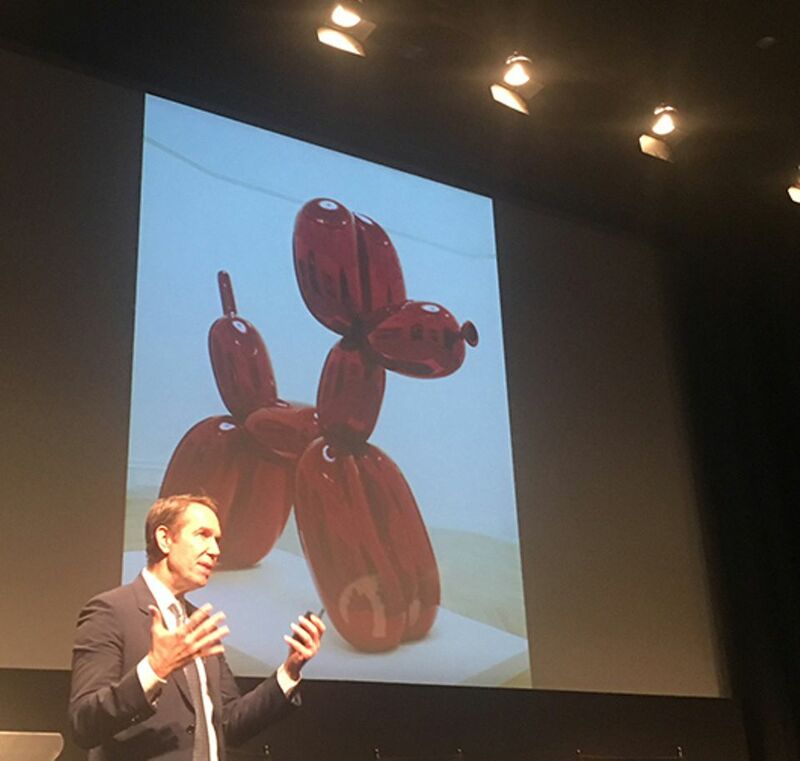 The American artist Jeff Koons, best known for his kitsch but commercially fashionable sculptures of inflatable dogs, delivered an introspective speech in New York last night (5 June) for the annual David Rockefeller lecture on arts and business. Koons touched on art, transcendence and success as an artist, saying that art only truly resonates when it inspires the viewer to realise their own “perfection and potential”. On his rise from working the membership desk of the Museum of Modern Art in the 1970s to Wall Street commodities trader in the 1980s to celebrity artist ad infinitum, Koons says that he “worked for the service of my work and accepted the consequences of selling things at a loss for a long time”, adding that, “if you trust in yourself, you’re also in the position to experience the transcendence and becoming of success”. The late David Rockefeller, whom Koons thanked graciously for his support, launched this lecture series in 1966 to encourage business leaders to form alliances with art institutions and artists, and to regard art as something more than “pleasant but peripheral”, he said in the founding address. The evening was hosted by the non-profit organisation Americans for the Arts, which aims to advance arts education in the US.